System and active alarm monitoring plan. security system. This is our security camera. 24/7 HD video. Someone home who shouldn’t be? Not for long. 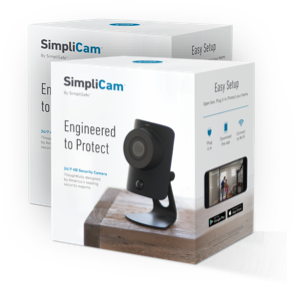 SimpliCam notifies you the instant it detects unusual activity, so you can see what happened and take action. Capture Critical Evidence See what happened before, during, and after your camera detects activity. With an optional recording plan, you can record, store and share critical footage with police and neighbours. Is everything alright at home? 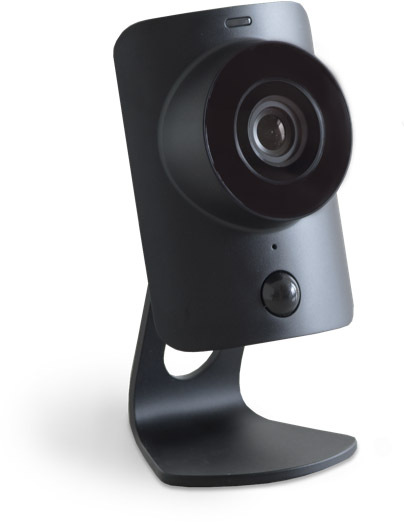 With SimpliCam you can see and hear what’s happening at home any time, anywhere, from any device. With an ultra-wide field of view—plus flawless streaming—you can see everything that happens at home in crystal clear HD from your smartphone, laptop or tablet. All for free in the SimpliSafe app. No one wants their phone to get overwhelmed with alerts. Shouldn’t your camera know the difference between someone breaking in and a branch moving outside? We solved the "camera-cried-wolf" problem. SimpliCam’s intelligent detection algorithms are calibrated to detect the unique heat signature of humans, so the alerts you get are the ones that matter. What good is HD video if it’s choppy, grainy and slow? Here’s a secret. To get crystal clear video, you need more than HD resolution. SimpliCam’s secret sauce is its compression. Our engineers developed a “variable bitrate compression algorithm,” which is a geeky way of saying that with SimpliCam you get crystal clear HD video that loads quickly and plays smooth. SimpliCam was built with a stainless steel privacy shutter to give you complete control over your privacy. The privacy shutter only opens with your permission. It protects your video feed with the same level of encryption used by banks to protect their accounts. 11.59 cm. x 6.48 cm. x 5.29 cm. Open Box. Plug it in. Protect your home. Set up your SimpliCam in under 5 minutes. Test out the SimpliCam.  If you aren't 100% delighted, call us within 60 days for a full refund and let us pay for return shipping.